Originally from Philadelphia, William Takacs joined the faculty of West Texas A&M University in the spring of 2002. Prior to his appointment at WTAMU, he was instructor of trumpet at the University of West Georgia. 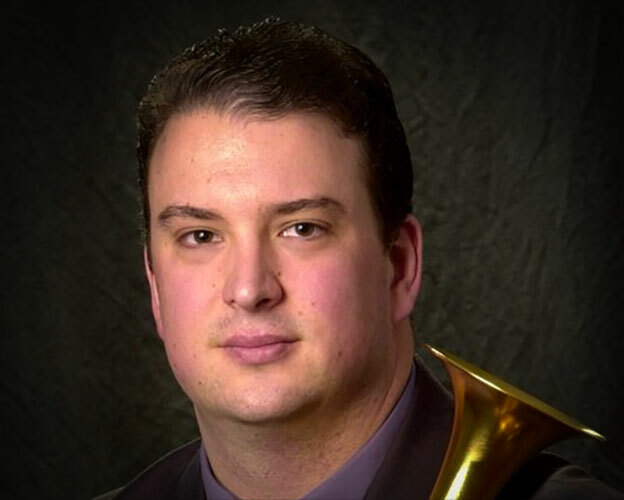 He has also served as Artist-in Residence as a member of the Skyline Brass at Iowa State University, Drake University, Grinnell College, Simpson College, and Des Moines Area Community College and has taught at Florida State University and Bowling Green State University. William Takacs is currently the principal trumpet of the Amarillo Symphony Orchestra, Chamber Music Amarillo, and performs regularly with the Amarillo Opera. He also performs with the West Texas A&M University Faculty Brass Quintet. Other performance credits of Dr. Takacs include guest appearances with the Toledo (OH), Pensacola, and Tallahassee Symphony Orchestras. He also served as guest principal trumpet for the New Sigmund Romberg Orchestra’s fall 1999 performance tour of Taiwan and with the Orquesta Sinfonica de Trujillo (Peru) during the summer of 1999. He has also given performances and/or masterclasses at many institutions including Western Michigan University, University of Wisconsin-River Falls, Valdosta State University, Stetson University, University of Central Florida, and the Conservatorio Regional de Musica de Trujillo (Peru) and has performed across the United States, Europe, South America, Asia, and Australia. He has won numerous performance competitions, including the 1999 National Trumpet Competition at George Mason University in Washington D.C., and was one of five semifinalists selected worldwide to participate in the 2000 Ellsworth Smith International Trumpet Competition held in Bad Sackingen, Germany, sponsored by the International Trumpet Guild. He also served as an intern at the Philadelphia Orchestra music library for four years while earning his Bachelor’s degree. Dr. Takacs has also been involved in the creation of new additions to the trumpet and brass repertoire. As a member of the Skyline Brass, he commissioned a set of four works for brass quartet by the Composers Consortium of Yale University. He also premiered a work for trumpet and piano in 1997, In Memoriam, by Mark Petering, who also dedicated the work to Dr. Takacs. He is an advocate for new trumpet and brass literature, serving as a new music reviewer for the International Trumpet Guild Journal. 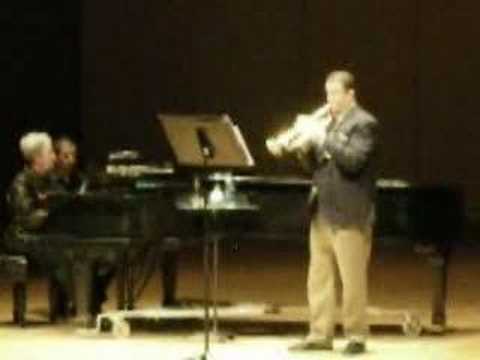 In May of 2006, Dr. Takacs performed the Edward Gregson Trumpet Concerto with the Amarillo Symphony Orchestra. This performance was later broadcast on NPR throughout the Texas Panhandle. In February of 2007, Dr. Takacs was a featured soloist with the West Texas A&M University Symphonic Band, performing Arban’s Variations on “The Carnival of Venice” at eight high schools in Midland, Odessa, Big Spring, Plainview, and Lubbock. In October 2010 he appeared once again with the Amarillo Symphony as a soloist with his wife, Amarillo Symphony Oboist/English Hornist Karen Takacs, on Aaron Copland’s Quiet City. William Takacs received the Bachelor of Music degree from West Chester University of Pennsylvania, the Master of Music degree from Bowling Green State University, and the Doctor of Music degree from Florida State University. He is a Performing Artist/Clinician for the Edwards Instrument Company. He has recently finished production on his first recording, which includes the Gregson Trumpet Concerto, Intrada by Arthur Honegger, the Arutunian Trumpet Concerto, Arban’s Variations on “The Carnival of Venice”, and four other works. In his spare time, Dr. Takacs enjoys reading, exercising, traveling, spending time with his wife Karen (who is an elementary music teacher and oboist with the Amarillo Symphony) and son Liam and pampering his cat, Dizzy (named after Dizzy Gillespie) and his two dogs, Molly and Miles (named after Miles Davis). He is an avid Philadelphia sports fan, especially of the Eagles, Phillies, and Flyers, and of Florida State football. Go Seminoles!